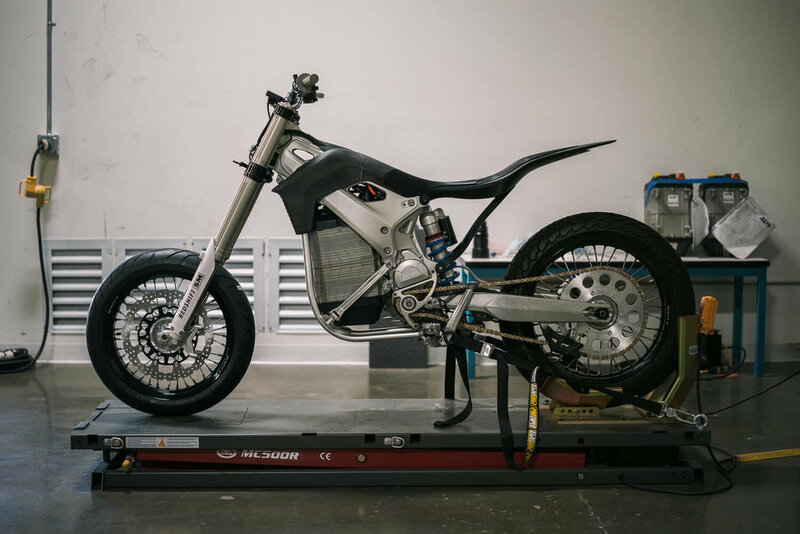 Alta Motors designs and manufactures the most advanced electric motorcycles in the world. What started as a “what-if?” between friends in 2010 has matured into a full scale Original Equipment Manufacturer (OEM). We endeavor to not only advance the field of motorcycle technology, but to also apply our technology and advanced engineering across transportation markets. In pursuit of this goal we have recruited an agile team of experts, developed innovative electric vehicle technology, and created a world class manufacturing operation headquartered in Brisbane, California. This is where we’re building The Future of Fast. Each piece is engineered to exhibit extreme tolerance in the most severe conditions so riders remain safe and bikes maintain their integrity. Alta’s design approach begins and ends with understanding what our customers want, need and value. Unlike a classic waterfall development program with handoffs from design to engineering to manufacturing, Alta takes a highly parallel and iterative approach, with design and engineering working hand in hand. Based on the intersection of product requirements, manufacturability, and bleeding edge of technology, our team puts pen to paper, beginning with sketches, volume studies and then 3D surface modeling. This process facilitates Alta’s signature system-level optimization and the creation of highly integrated components that dramatically reduce part count and weight, like the Redshift’s rear bulkhead. Parts are iterated through through finite-element analysis (FEA), design-for-manufacture (DFM), and then back through design to ensure that the customer requirements are not lost in the process. We then create rapid prototypes using Alta’s in-house CNC machine shop and 3D printers to bring the piece into the physical world so we can run every component through an array of lab and field tests before it’s released. Our software adheres to the same philosophies of minimalism and rigorous safety testing as our mechanical and electrical systems. Even though you can’t see it, our proprietary software is just as critical to the performance, safety, and experience of riding our vehicles. Alta’s firmware engineers work hand in hand with our research and development team to ensure subtle performance nuances are not lost between the lab and the real world. We do not utilize generic or third party code as it typically includes 100s or 1000s of lines for unused and irrelevant functionality. Our software adheres to the same philosophies of minimalism and rigorous safety testing as our mechanical and electrical systems. Our code-base is refined to its elegant minimum and contains only what is needed and nothing more. This keeps our riders safe, our development timelines extremely short, and is the foundation for the Redshift’s unparalleled control over power delivery. The challenge is to not only build components that can withstand high impacts, but also to minimize their physical space requirements in the bike. The Redshift has about a dozen circuit boards embedded into its chassis. These boards execute a variety of functions and rapidly communicate with each other to ensure the bike is operating properly. The challenge is to not only build components that can withstand high impacts, but also to minimize their physical space requirements in the bike. The Electronics Lab has been built out with Metcal soldering stations for rework, multimeters to measure voltage and current, and DC high voltage power supplies to test boards and simulate charging. We maintain a library of resistors, capacitors, and fuses to prototype new electrical components and then run them at various loads to verify they perform as expected. Using oscilloscopes with deep memory functionality, engineers digitally capture component feedback to analyze and debug field results. Once a prototype board layout is achieved, the team begins working with suppliers to replicate these prototypes according to our specifications. To meet the rigors of motocross, the Redshift pack, and the cells within it, have been characterized and tested to the extreme. The foundation of Alta’s massive battery advantage starts with the cell itself. We utilize the highest energy and highest quality 18650 lithium-ion cells in the world. These cells can provide 2-3X the amount of energy per weight than other commercially available battery cells, but are typically challenging to implement in a large format pack for a motorcycle or car. Alta’s proprietary pack technology and trade-secret manufacturing methodology reduce the pack overhead for the safe, reliable, and robust use of these cells by nearly 75%, representing a rare step function improvement in energy density for commercialized battery packs. Our state-of-the-art battery lab ensures that we are not simply meeting industry averages, but aggressively defining what is possible in electric vehicles. To meet the rigors of motocross, the Redshift pack, and the cells within it, have been characterized and tested to the extreme. On the electrical front, every insulator or safety disconnect (such as relays, fuses, switches etc) is tested for dielectric breakdown, wear, mechanical and thermal resilience, far beyond any normal operating conditions. For thermal safety, it's a different approach with a similar result; we churn through heavily instrumented test articles, custom fixtures and experimental setups to ensure the pack can safely and passively tolerate a cell failure, with margin to spare. OUr R&D team brings in decades of wrenching experience, earned at local and national series in a multitude of disciplines. The true merit of a motorcycle is proven in the real world. California is blessed with amazing trails, perfect canyon roads, potholed city streets, and intense tracks, so we have plenty of resources at our disposal to constantly expand the breadth of the Redshift’s capabilities. Our R&D team is constantly testing new features, suspension settings and riding profiles. it's only after countless hours of pounding the pavement, cutting laps at tracks and bombing trails that we can verify the qualitative feel, true performance, and durability of the bike. Our R&D team brings in decades of wrenching experience, earned at local and national series across disciplines; flat track, motocross, and pretty much everything that goes fast on two wheels. From hamfisted novices to superhuman professionals, there are lots of types of abuse waiting for the bikes in the real world, and we find them all. We also never lose sight of the goal of building the best bike you can buy, gas or electric, and regularly put the Redshift into the mix with gas bikes at races. To that end, we have recruited a roster of factory development riders who have worked with major motorcycle OEMs and can provide granular levels of feedback as well as putting it into context with the current industry leaders. We know that each Redshift is an amazing machine when it comes off the production line, however, we also want to ensure that it will outlast any gas motorcycle. The EOL Lab is where parts are put through intense mechanical and environmental abuse and stretched past to their furthest limits. This investment in state of the art equipment allows us to replicate years of abuse in a matter of hours and days, and feed the results back into our R&D cycle. Starting from a complete standstill, our vibe table rapidly oscillates in the Z direction up to 7 Gs of acceleration. The profile repeatedly sweeps between 10hz and 55hz for 15 hours, which simulates years of abusive riding. Components are then inspected with macro focused lenses to search for cracks or warps that compromise the chassis of the bike. To check how the Redshift’s components perform in different environments, we use a large environmental chamber to conduct dimensional stability and accelerated aging (DS/AA) analysis. The chamber runs through humidity and thermal cycling, which forces parts to continuously expand and contract, testing the integrity of their assembly. We design our parts and sepc our materials to be able to deal with the brutal conditions riders face, whether they are in the dusty deserts of Death Valley or in the water logged mountains of the Northwest. While we can conduct this test on the whole chassis, we also use a secondary thermal chamber to isolate the battery pack and run these tests while the pack is being discharged at different levels. WE KNOW THAT EACH REDSHIFT IS GOING TO BE AN AMAZING MACHINE WHEN IT COMES OFF THE PRODUCTION LINE. Every system of the Redshift is hermetically sealed to protect the electrical systems of moisture and foreign elements to an IP67 waterproof rating. We use dunk tanks to completely submerge the bikes chassis and monitor functionality while it's under water. We’ve pushed the bike’s seals even further by blasting every surface with a water cannon and steam sprayer. This overkill means the bike will be fine running through deep river crossings, let alone rain and road spray. Having the EM Lab in-house gives us complete control over the quality and output of these critical components, as well as safeguarding our IP. The Electronics Manufacturing Lab (EM Lab) handles some of our most sensitive sub-assemblies and intellectual property (IP), including the battery pack, motor controller, and accessory control module (ACM). Our assembly team are veterans in production of new hi-tech hardware, with some 15+ product launches under their belts. Running each of our assemblies in parallel, we keep operations dynamic and flexible to adapt to the needs of the main line assembly. Having the EM Lab in-house gives us complete control over the quality and output of these critical components, as well as safeguarding our IP. For the assembly flow, we have completely developed our tablet controls in-house and we can tailor these controls to be 100% configurable to our needs. Most programmable logic controllers (PLCs) used in automotive manufacturing are 10-15 years out of date, but our in-house team developed high volume micro controllers that are 1/100 the cost of a PLC for manufacturing execution systems (MES). This gives us complete control over our process and allow us to evolve and change without waiting for an outside firm to understand our needs and implement fixes. Our Ingersoll Rand transducerized torque tools are programmed to our work instructions, and verify and record final torque on every fastener. They are completely integrated into our cloud-based MES system to improve safety, eliminate margin of error, and provide complete traceability down to a single bolt or connector. Between R&D, manufacturing and rapid prototyping, our machine shop is completely customized to meet the needs of our many departments. By doing it all in-house, our machine shop has enabled us to rapidly produce high quality prototypes, fixtures and components at a fraction of the cost and time spent working with outside companies. Our engineers can send parametric CAD files to our Machine Shop Manager, and receive functioning pieces the same day. This makes it tremendously easy to roll in new part designs, implement new testing methods, and evolve our manufacturing equipment. In addition to the time and cost savings, the expertise of our machinists plays a critical role in upstream part design, ensuring our parts can be easily manufactured to our quality and performance standards. Metrology is the science of measurement and is essential for creating high quality components. Because the Redshift is a completely clean sheet design, we have developed a list of production standards to which we hold all of our suppliers. Utilizing a variety of measuring instruments, our Quality Inspection Officer defines and applies a series of tests to each component and gives the final approval before they are released to the main assembly line. At the core of the Metrology Lab is the Co-ordinate Measuring Machine (CMM). This sophisticated precision robot measures complex three dimensional geometry in relation to the CAD models archived in our engineering library. The CMM automates data acquisition, generates inspection reports and performs Statistical Process Control Analysis. Nominal dimensions are pulled directly from the CAD model to generate the measurement routines, and the actual individual part measurements can be layered back onto the CAD model, highlighting any deviations. Through the powerful Pc-Dmis Xact Measure software, the exact Geometric Dimensioning and Tolerancing Feature Control Frame is evaluated per ASME Y14.5 - 2009. The Metrology lab also houses an array of measurement devices with calibrations traceable back to the National Institute of Science and Technology, (NIST). The thread form of a bolt can be analyzed on the Optical Comparator. The strength of that same bolt can be checked with the Rockwell Hardness tester. Cut checks of welded joints are macro etched so the depth of penetration can be measured with a digital microscope. The thickness of coatings are measured and their adhesion is tested per ASTM D3359. One of the most challenging needs at a new OEM is to establish a robust and reliable supply chain. We had to identify world-class suppliers who not only could produce our complex components repeatedly and reliably, but were highly motivated to work on a cutting edge technology product. In support of the Alta Redshift, we’ve successfully sourced over 500 unique items from over 75 suppliers globally. We condensed the typical lengthy supply chain development timeline to match our aggressive production goals. Parts are serialized and traced in a virtual build sheet and are delivered to the manufacturing line using a Just-In-Time (JIT) model. 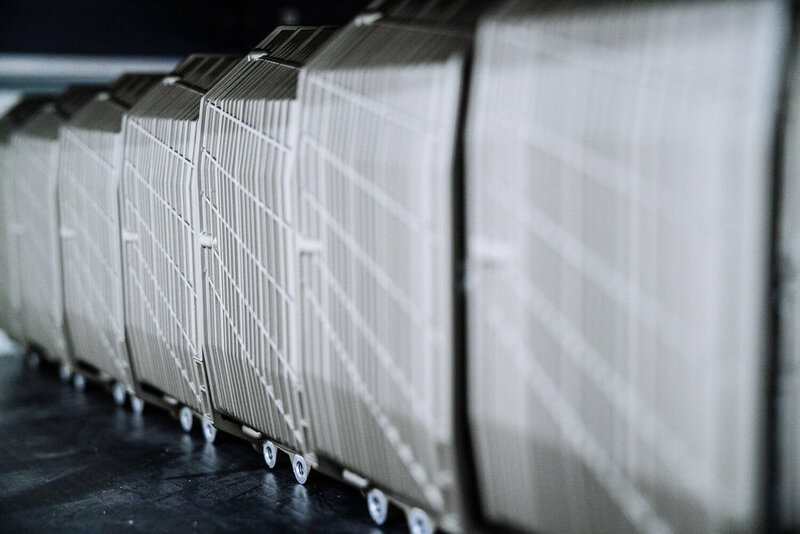 Our team diligently maintains optimal supply of components to support our increasing production rate, no matter if materials arrive on a truck from our local sources or on a sea shipment from off-shore partners. Our supply chain is ready to scale quickly with Alta Motors and we are confident our suppliers will deliver to our exacting standards. Alta Motors is not some group of hackers putting together one-off concept vehicles. Rather, we are a team of experts that have repeatedly done full scale manufacturing at companies such as Toyota, GM, Caterpillar and Bloom. As a result, we have distilled a list of best practices and applied them to our continuous production line.